Note: You may download this resource at no cost, for personal use or for use in a Christian ministry, as long as you are not publishing it for sale. All I ask is that you acknowledge the source of this material: http://www.patheos.com/blogs/markdroberts/. For all other uses, please contact me markblog-at-markdroberts.com. Thank you. 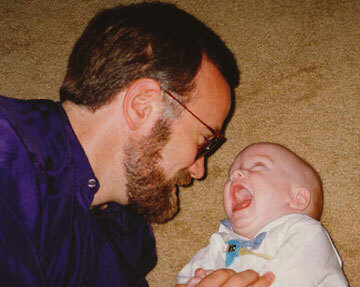 How Lent Can Make a Difference in Your Relationship with God? 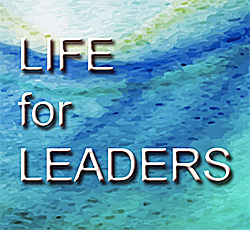 Life for Leaders is a daily, digital devotional that is sent out each morning from the Max De Pree Center for Leadership, where Mark works. This devotional, written by Mark and his team, will help you make connections between God, Scripture, and your daily work. You can check it out and/or sign here. There is no cost. Your email address will be used only for Life for Leaders. You can unsubscribe easily at any time. 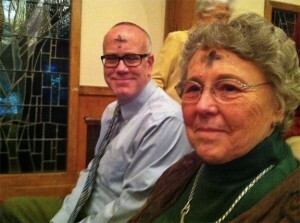 My mom and I at an Ash Wednesday service in 2012.